★ Hours of replay value Replay each episode to get 3-stars on every level and earn impressive achievements! Every ball counts! Download and Buy this exciting game for the low price of $1.99! It’s sure to give you hours on hours of high quality entertainment! 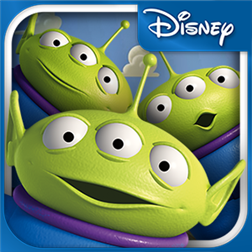 Also check it out on Windows 8 if you have a tablet, a love of all things Toy Story and have free time! Written by: MBGW on December 25, 2013.